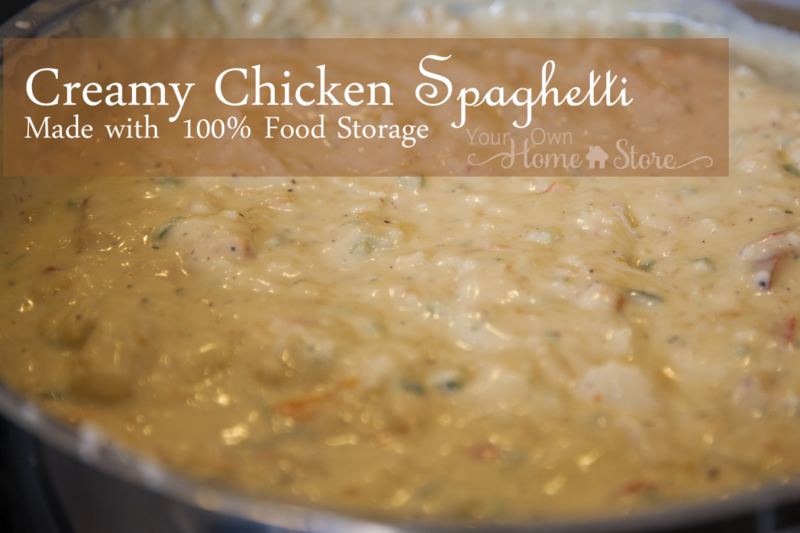 I found this recipe in Ree Drummond’s The Pioneer Woman Cooks cookbook. She makes it as a casserole, and I’m not sure what I did wrong, but when I tried that with all shelf stable ingredients, the casserole ended up much too dry. So, I tried again, only this time I treated it just like I do my regular old spaghetti recipe. I made the noodles and sauce separately, and then spooned the sauce over the noodles. 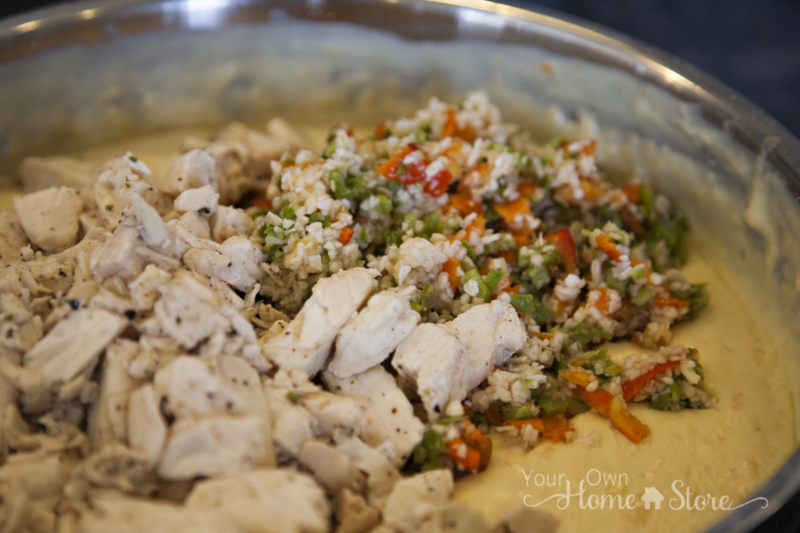 Add 3/4 cup water, Chef’s Choice seasoning, and pepper to chicken and 1/4 cup water to veggies. Stir well and set aside. 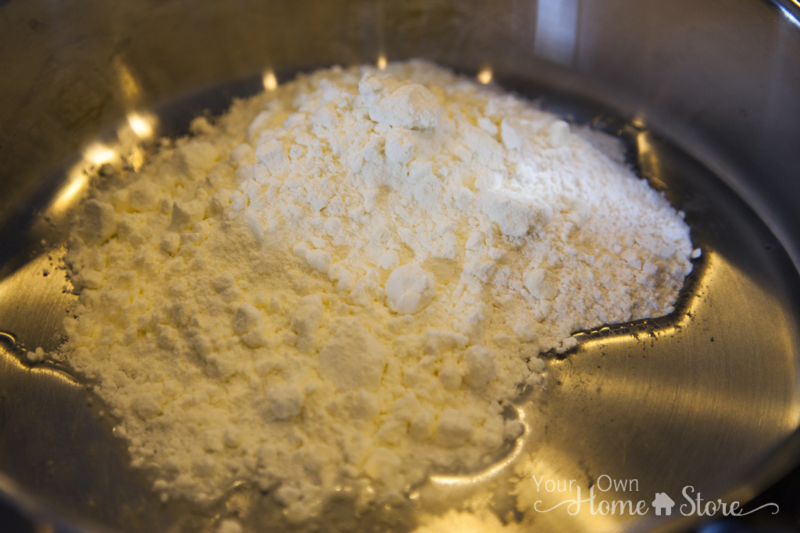 Add flour, butter powder, and oil to the pan. Heat over medium high heat while whisking constantly. Mixture should resemble small pebbles and just barely start to brown. 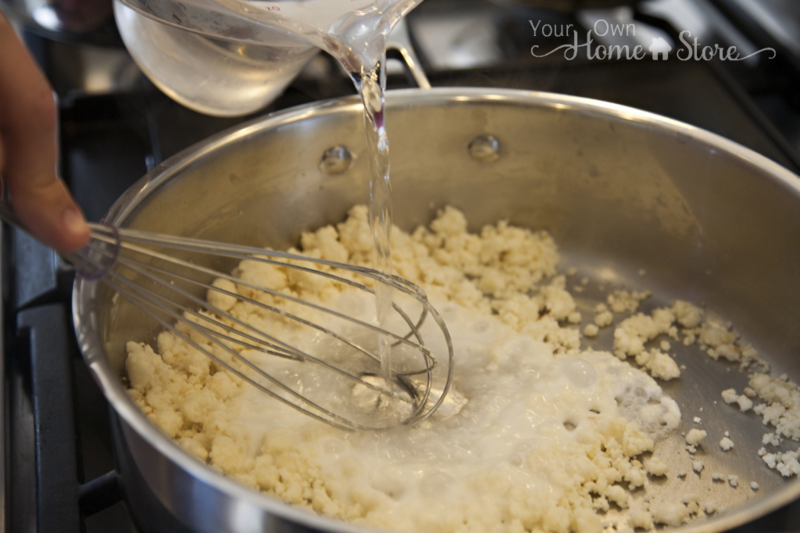 As soon as mixture starts to brown in spots, turn heat down to medium and slowly add water, whisking constantly until sauce is smooth. 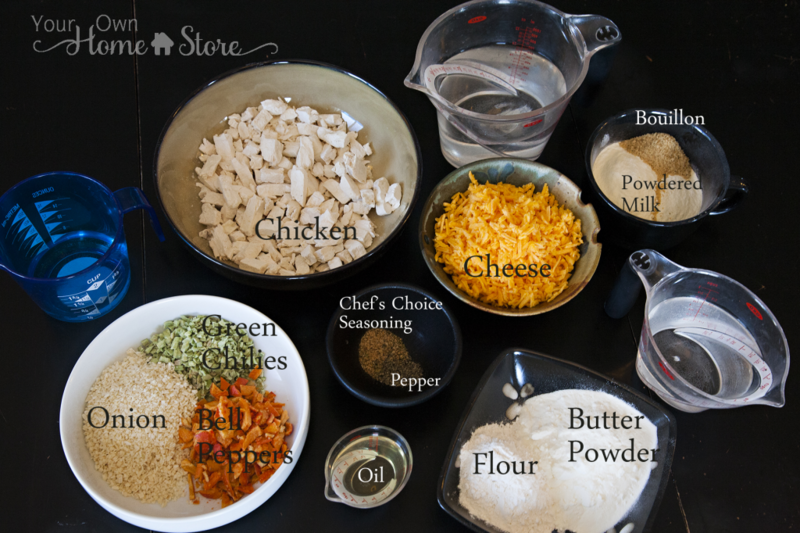 Stir your chicken and veggies. 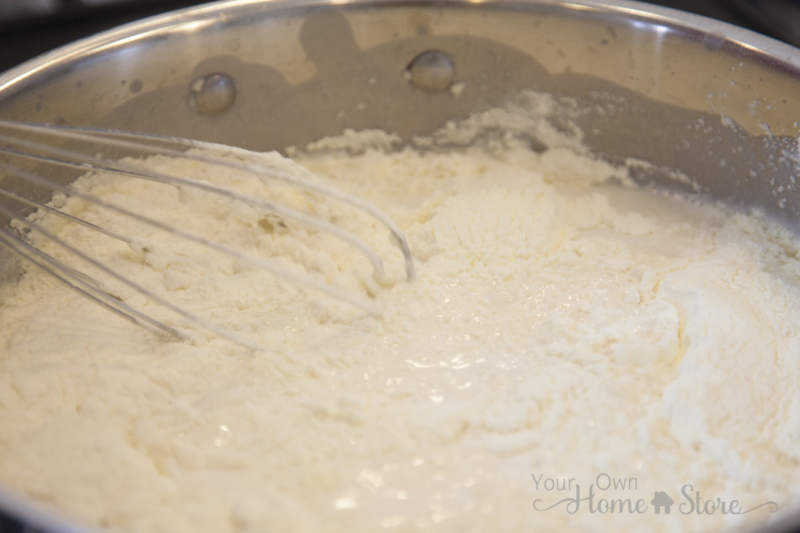 Add milk powder and bouillon to sauce and whisk until well incorporated. Stir your chicken and veggies. Give sauce a 2-3 minutes to heat back up. Make sure you stir it regularly. 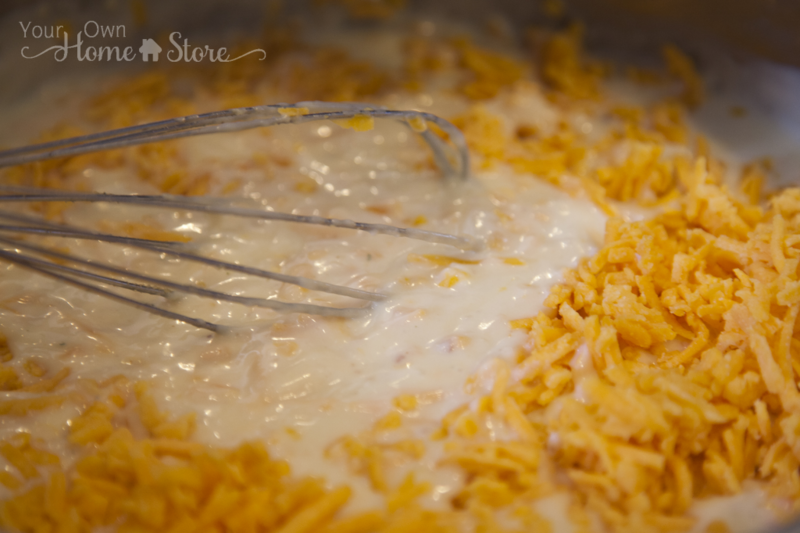 Once very hot, add cheese, and stir until all cheese is melted into the sauce. Add chicken and vegetables to sauce, and stir to combine. 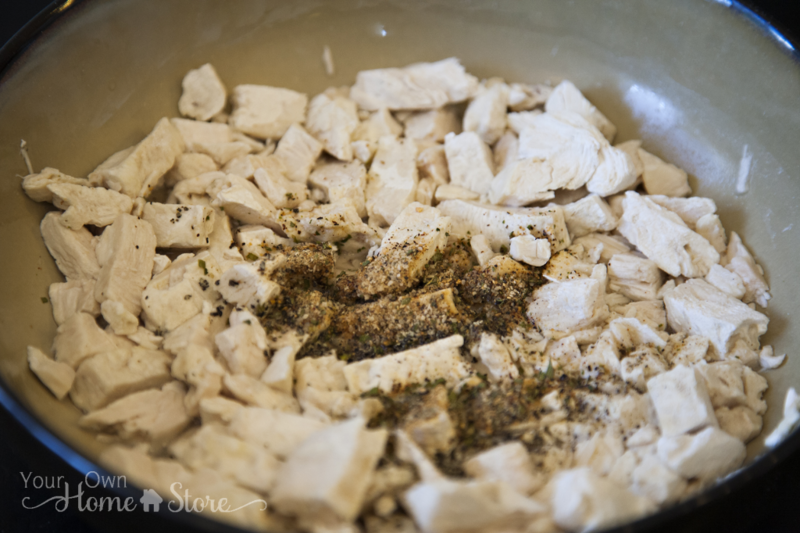 Add ¾ cup water, Chef's Choice seasoning, and pepper to chicken and stir coating all chicken in the water. Set aside. 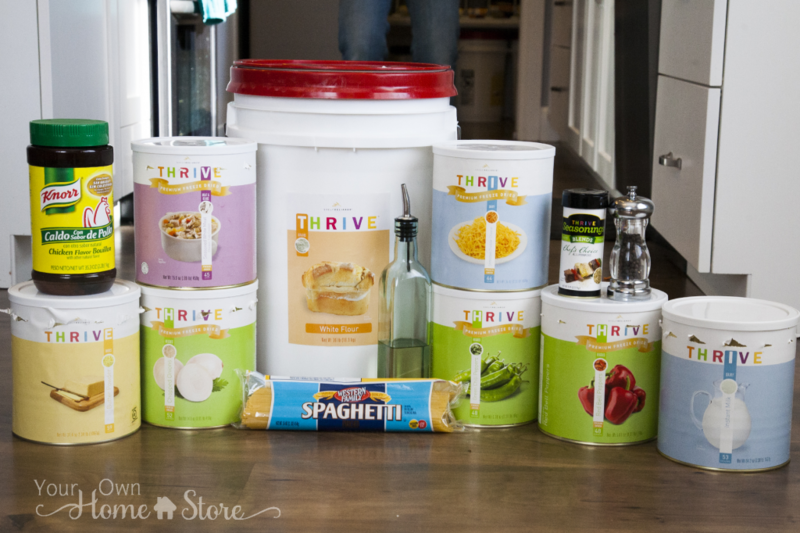 Add ¼ cup water to veggies. Stir well and set aside. 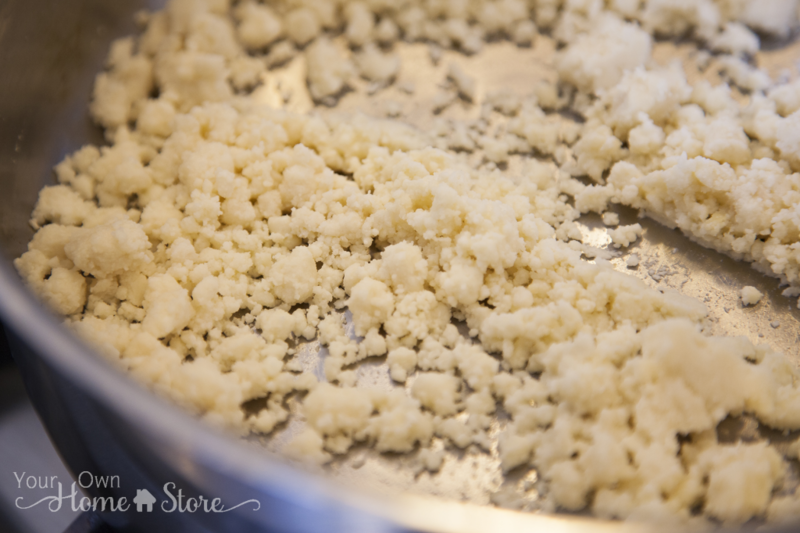 Add flour, butter powder, and oil to a sauce pan over medium high heat. 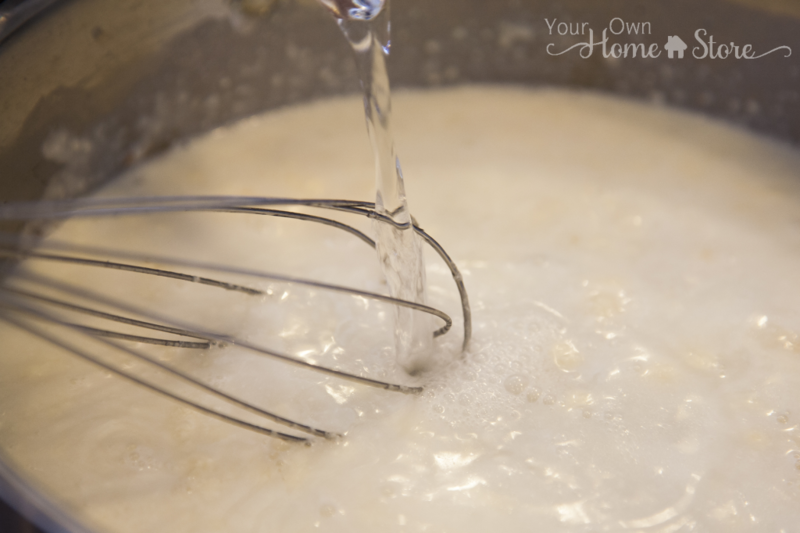 Whisk constantly until mixture resembles small pebbles and just barely start to brown. 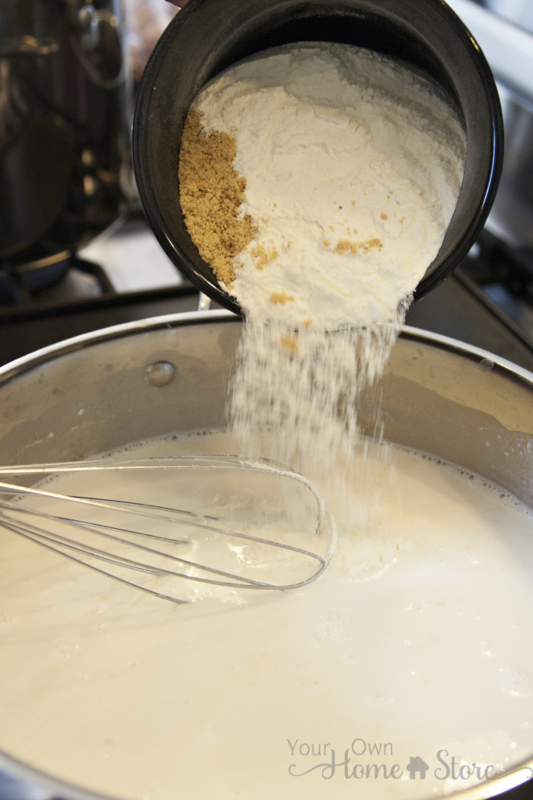 As soon as mixture starts to brown in spots, turn heat down to medium and slowly add 2 cups water. 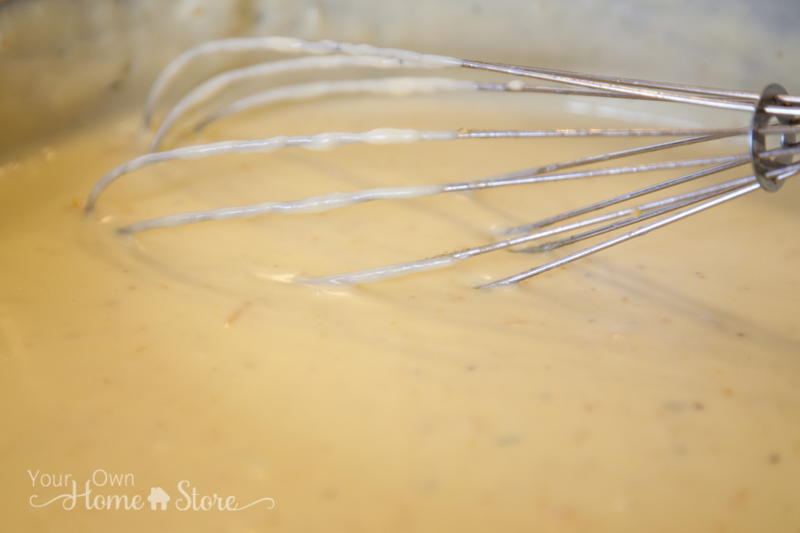 Whisk constantly until sauce is smooth. Take a break from the sauce for a second, and stir your chicken and veggies. 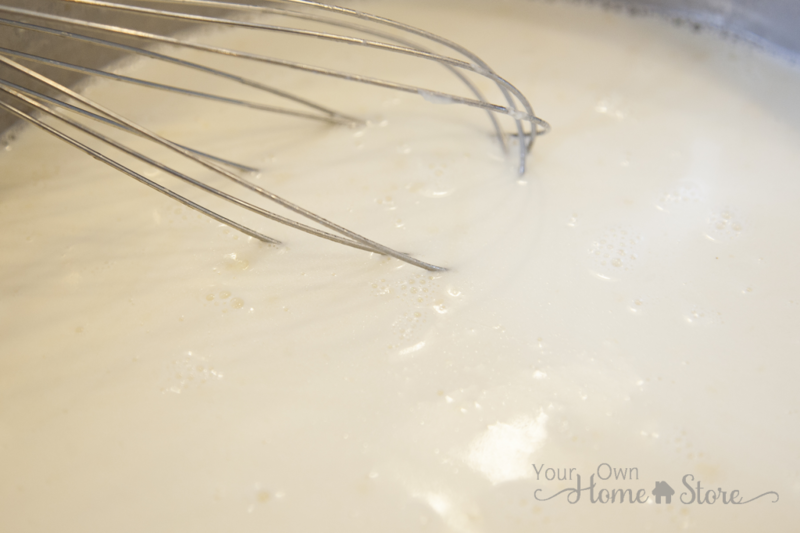 Add milk powder and bouillon to sauce, and whisk until well incorporated. 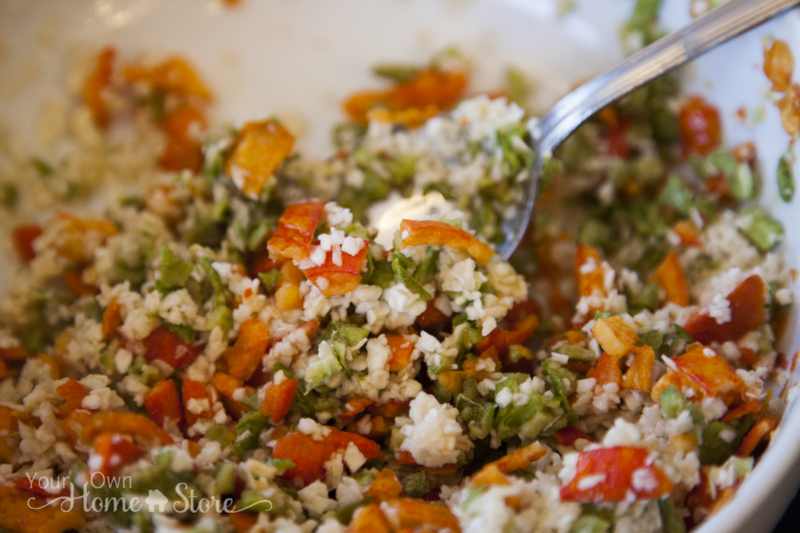 Give sauce a 2-3 minutes to heat back up, but make sure you stir it regularly. 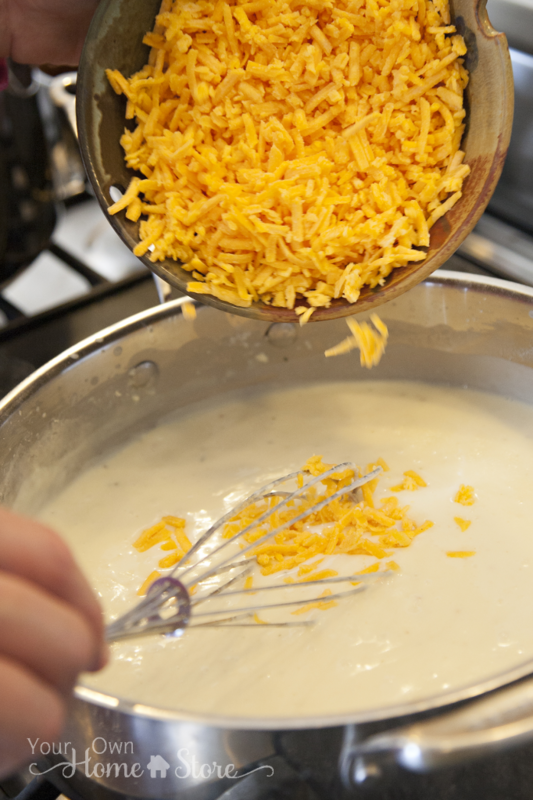 Once sauce is again very hot, add cheese, and stir until all cheese is melted into the sauce. Add chicken and vegetables to sauce and stir to combine. 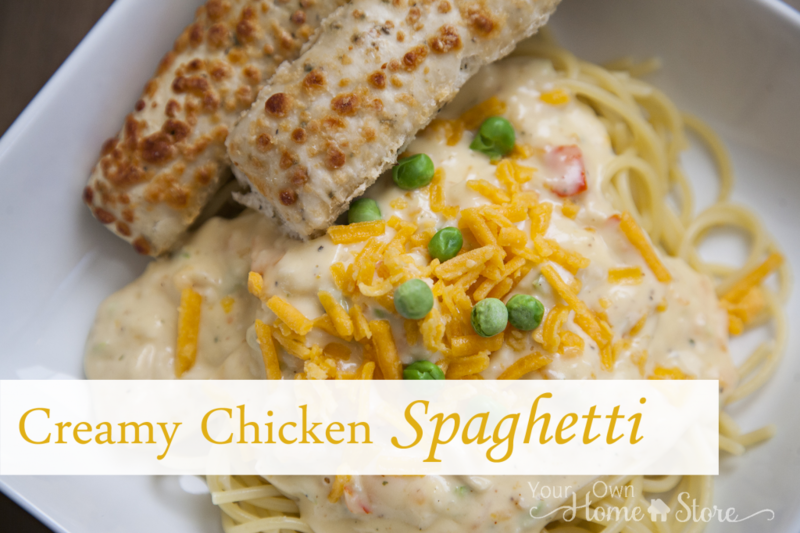 Serve over spaghetti noodles and top with additional cheese and green peas if desired.